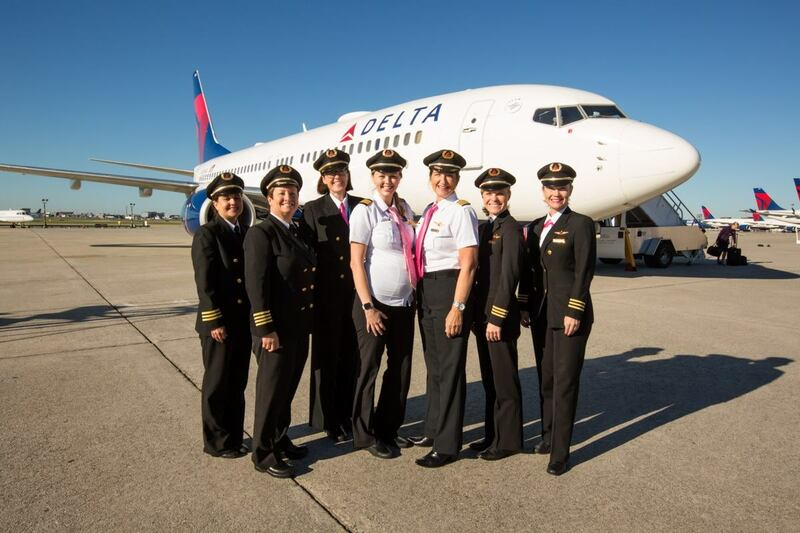 Delta celebrated Girls in Aviation Day by flying more than 130 girls, ages 11-18, during the fourth annual Women Inspiring our Next Generation (WING) flight Saturday. This year’s WING flight carried these future aviation professionals from Detroit to Atlanta, where they joined 250 local girls and their families in the Delta Flight Museum along with Joy Walker, Delta’s first female pilot. Delta created the WING flight to attract women to the aviation and aerospace fields. From the flight crew, pilots, gate agents—and even flight dispatchers—the flight was entirely female. So the WING flight gives girls a chance to see themselves in traditionally male-dominated roles. Girls from Detroit’s Central Collegiate High School, Davis Aerospace Technical High School, Edison Public School Academy, Henry Ford Academy and West Michigan Aviation Academy, as well as Atlanta girls spent the day on flight simulators, visiting with female flight dispatchers in Delta’s Operations and Customer Center, simulating aircraft evacuations with flight attendants, building parachutes in the Delta Museum, and creating their own maps and flight plans. The WING flight originated as a response to the lack of female pilots — only 5.14 percent of pilots in the United States are female. 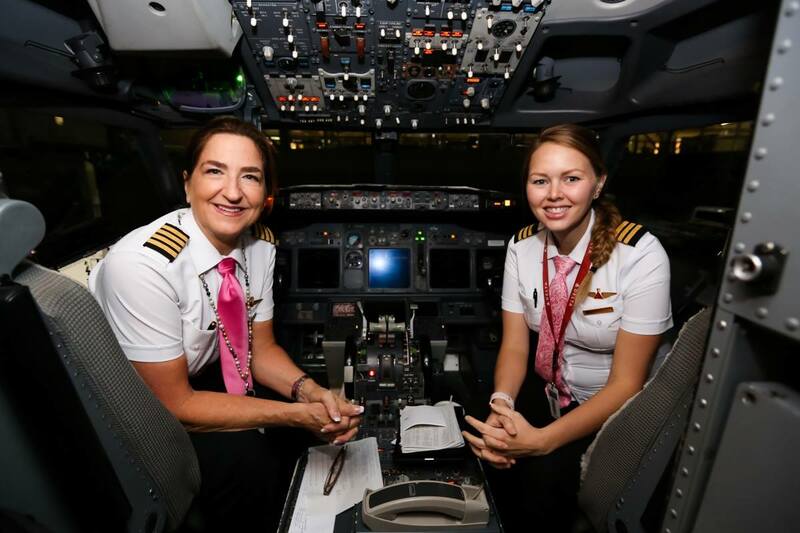 Captain Kathaleen Wildhaber flew the WING flight to Atlanta and was joined by First Officer Kelly Knoblauch, who proudly boasted a six-month pregnant belly. The cabin was full of other powerful Delta women celebrating female spirit and talking to girls about their careers in aviation. The seven pilots on board were joined by female mechanics, engineers, technicians, IT specialists, communicators and creative professionals who work at Delta.